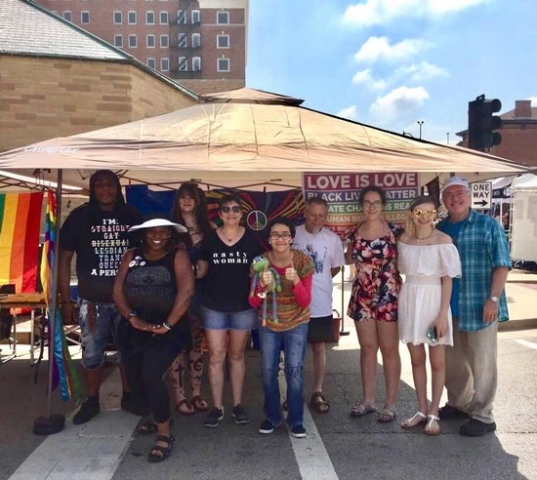 ALUUC Welcomes People to the 2018 Springfield, IL PrideFest! 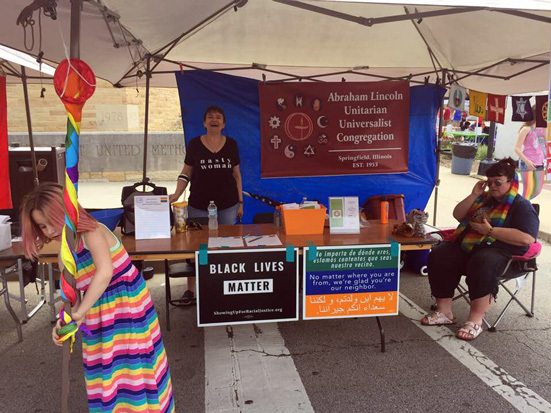 Thanks to everyone who stopped by the ALUUC table at PrideFest to visit us and request information about our congregation. 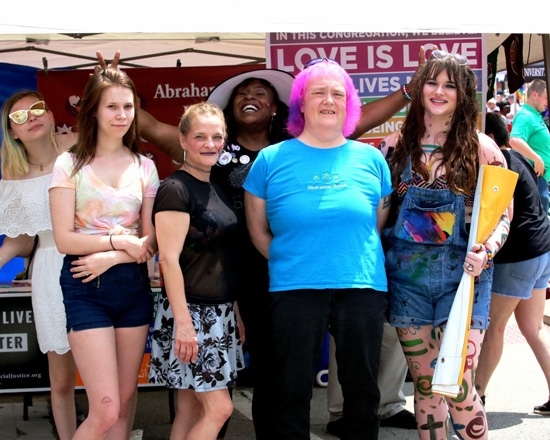 ALUUC is a Welcoming Congregation that has participated in every PrideFest here in Springfield. 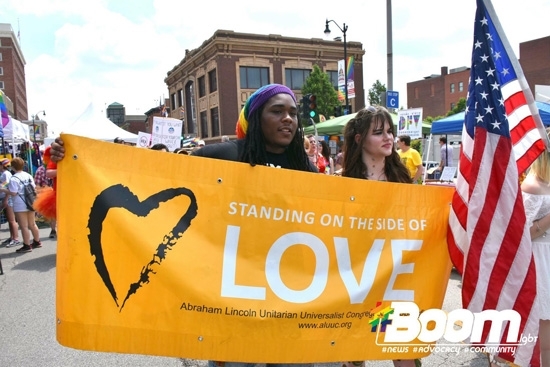 For 65 years, ALUUC has supported vulnerable communities and diversity. 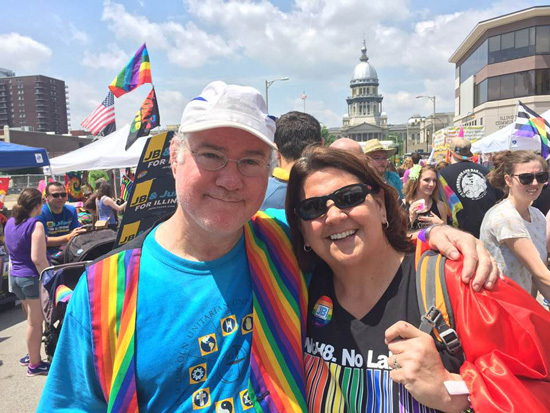 We have long been a public advocate for Marriage Equality and for promoting the inherent worth & dignity of the LGBTQQA community in Central Illinois. 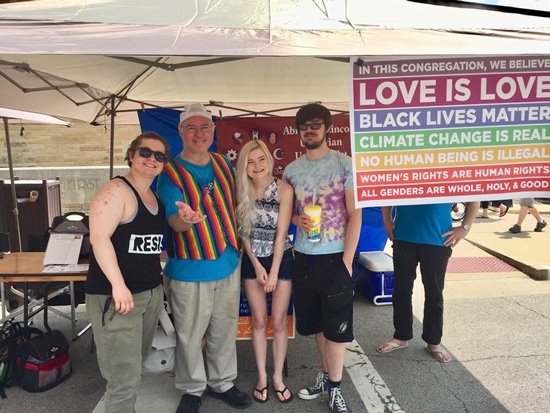 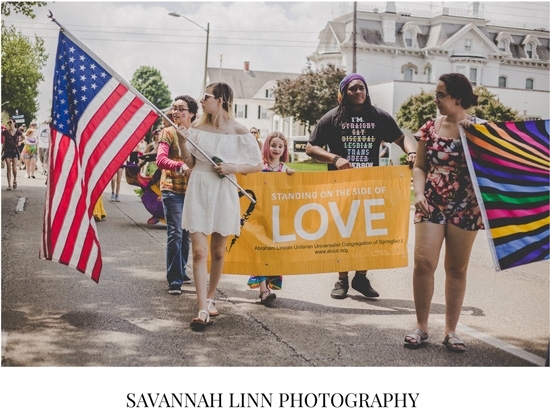 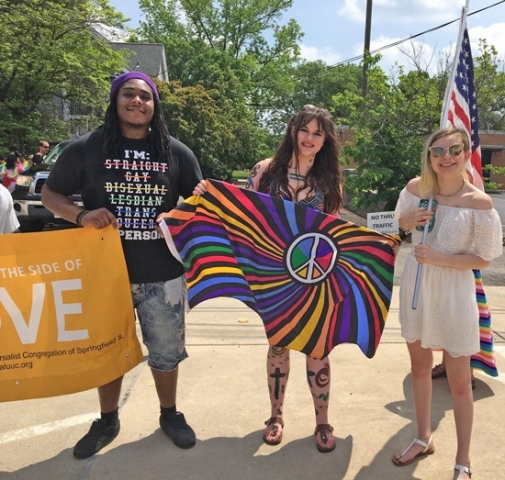 As our banner at PrideFest proclaimed: We believe that Love is Love / Black Lives Matter / Climate Change is Real / No Human Being is Illegal / All Genders are Whole, Holy and Good / Women have Agency over their Bodies.